Did you know that many TPMS sensors were designed to fit multiple vehicle applications, other than the original application? 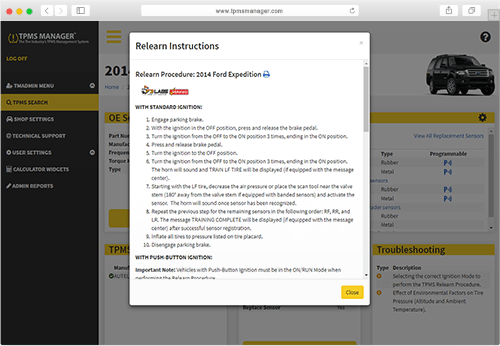 A vehicle may have 4 completely different OEM sensors and all function correctly with the vehicle. 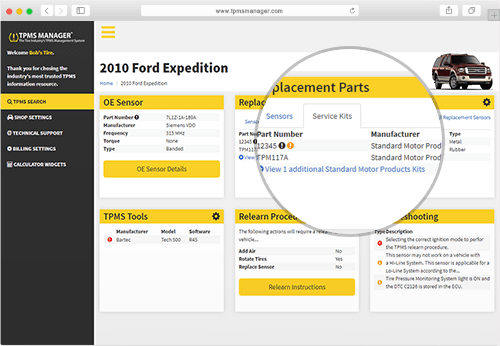 You may find up to 30 or more compatible replacement sensors to choose from. 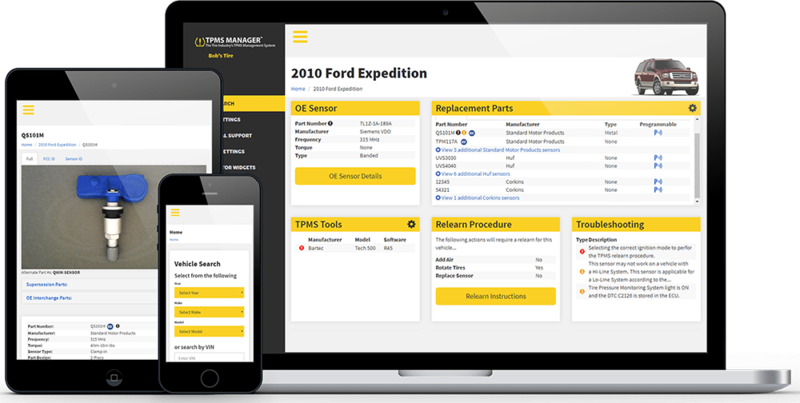 Our catalog includes OE and aftermarket sensors and service kits from all the top TPMS parts manufacturers. TPMS is complicated. 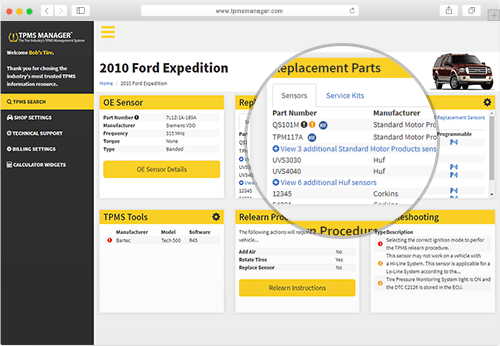 Tire retailers must be prepared to service any one of the thousands of sensors in service today and understand how they work together. We provide you with all the necessary information to service vehicles equipped with direct measuring tire pressure monitoring systems. 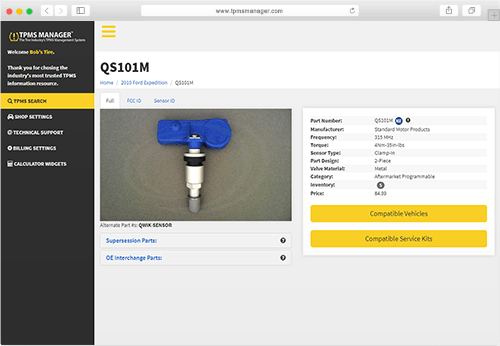 A proper TPMS scan tool is a must have for the tire retailer today. 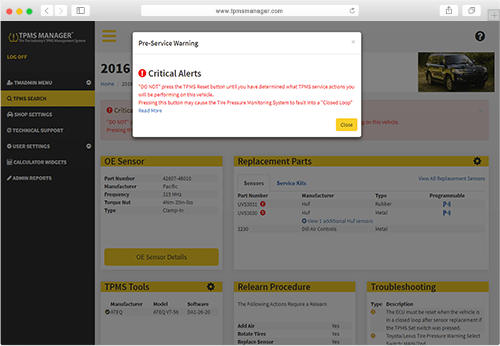 You cannot service TPMS without one. 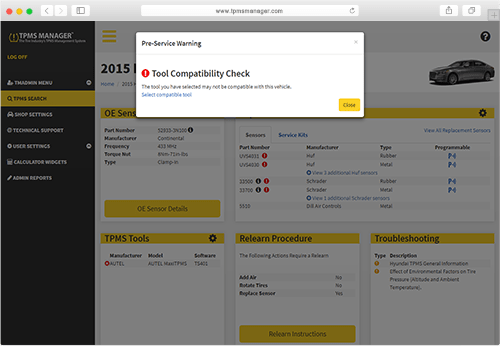 No tool has 100% coverage and TPMS Manager alerts users of tool incompatibility before they get in trouble. 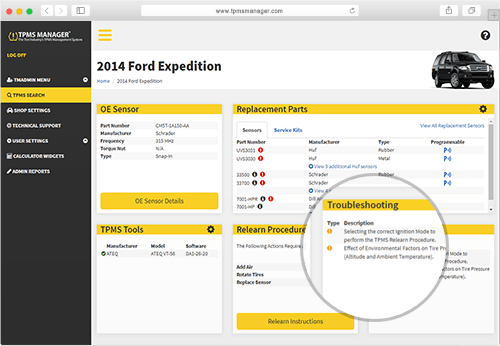 The biggest challenge when servicing TPMS equipped vehicles is troubleshooting situations where things are NOT working, even when you have the correct information. 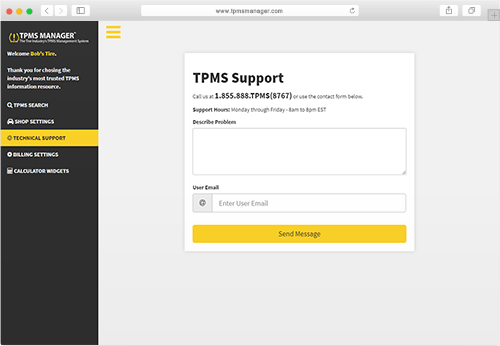 TPMS Manager is the only resource that combines data from the industry, TSB’s from the OEM manufacturers, as well as supportive information from our partners in the industry. The website has been very helpful. It has made us more productive and more professional when it comes to relearn procedures. We did not have a procedure for replacing TPMS kit with new tire purchases. 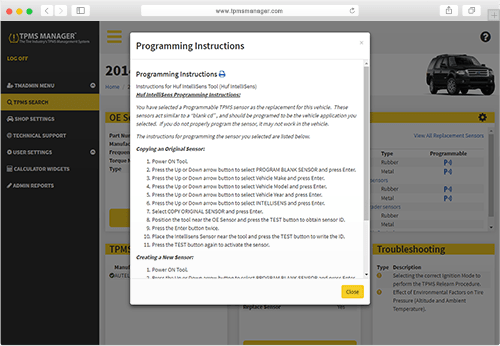 The website has helped us with inventory and implementing a new profit center in the sales of the TPMS kits. I would guess we are generating $1000.00 to $1500.00 in sales of TPMS kits per store. Call Joe Davis, TireMaster Account Manager, at 800-657-6409 ext. 2106 to learn more.